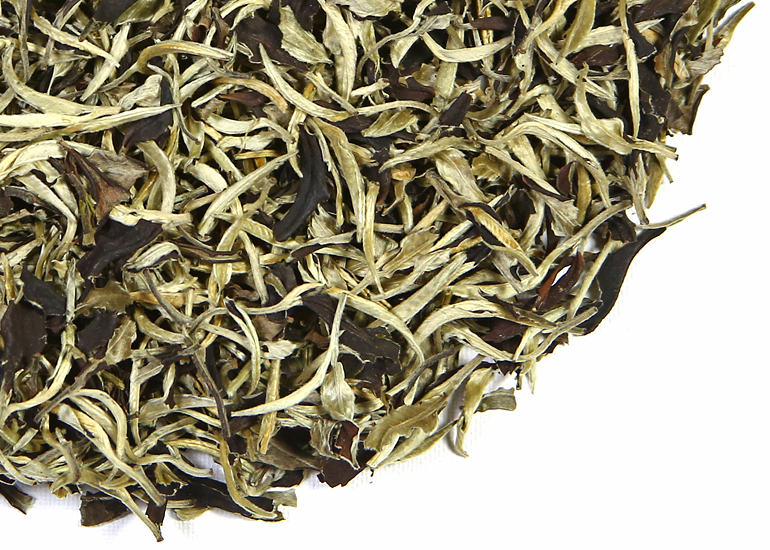 Yue Guang Bai is an unusual white tea from the Jinggu area of Yunnan Province. It has the pure flavor and smooth, sweet creaminess of a late harvest tea, and fills the mouth with the richness that only white tea or a Bai Hao oolong will have. Tea drinkers who seek white tea with a full-bodied mouth-feel and absolutely no astringency will find this unique tea from Yunnan Province irresistible. 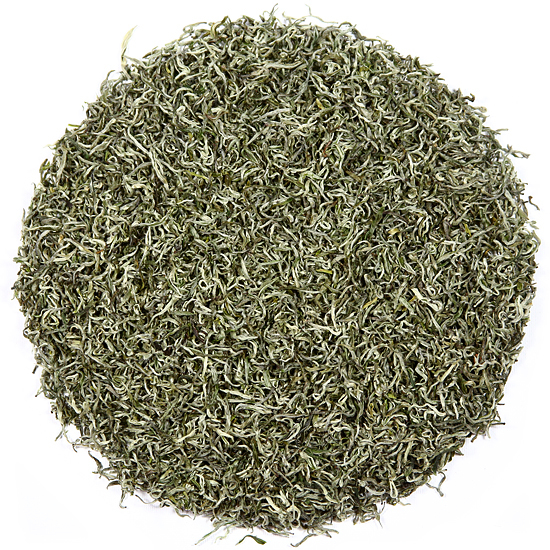 Yue Guang Bai is a big, light, fluffy, leafy tea. The appearance is the first thing one must notice – each leaf has a fascinating ‘white’ side but the other side is a deep, rich ‘purple/red’. Nature is amazing – this duality is simply because of character traits of the tea bush varietal that is used to make this tea – Camellia taliensis. Camellia taliensis is an important wild relative of Camellia sinensis, the cultivated tea bush. Both C. taliensis and C. sinensis are classified in the family Theaceae. Both species thrive in the mountainous broad-leaf evergreen forests of Yunnan Province, northern Burma and parts of Thailand, where Camellia taliensis has been consumed for centuries by local people. Because of this unique tea varietal, Yue Guang Bai is a true regional Yunnan specialty. 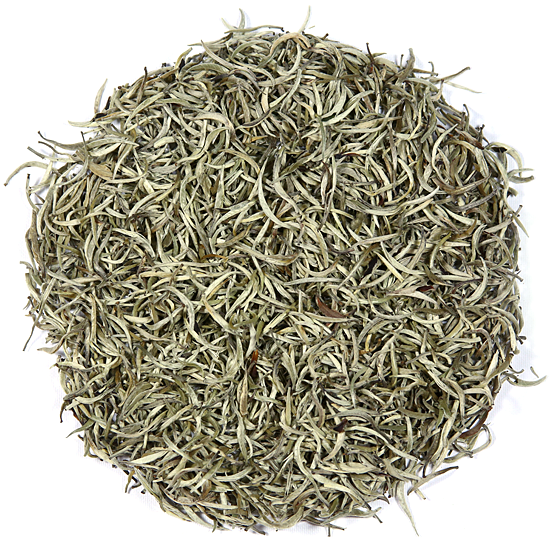 It does not quite fit the exact characteristics of traditional white tea manufacture, but it has such an interesting character that we embrace it for its own special-ness. The core flavor is subtle and layered with nuance, and shows the skill of tea artisans who understand how to bring the best flavor characteristics of Camellia taliensis to the cup. This tea is processed very simply with a short light withering that promotes slight oxidation followed by air drying to keep the leaf as open and flat as possible. This slight natural oxidation imparts a flavor to this leaf that is reminiscent of a very mild black tea. In fact, if you age a portion of Yue Guang Bai it will darken over time and become more like a black tea than what it is now – a white tea. Yue Guang Bai is light, elusive, clean, and deliciously smooth. 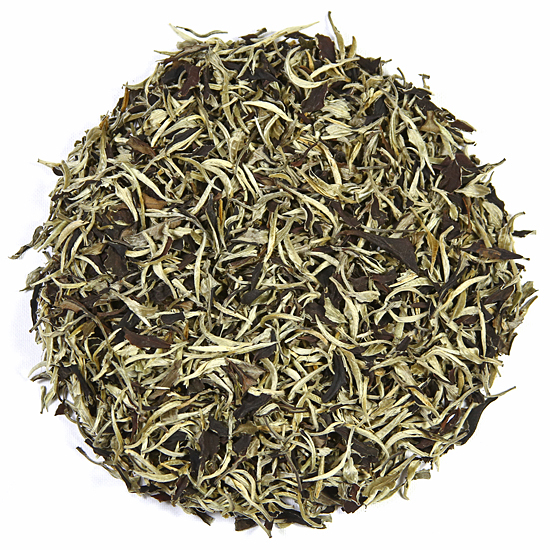 Extremely easy to steep and flavorful through many re-steepings, this tea is simply delicious. Harvested from old-growth tea bushes in Jinggu in the late spring/early summer of 2018.